"Why my daughter won't have sugar before she turns 3." And foods to try with the whole family in the first year of solids. As mums, most of us pay so much attention to what we eat and drink during our pregnancies. But by the time it comes to starting solids we’re so exhausted from trying to keep up with the daily chaos of life with a baby that we just simply don’t have time to devote a huge amount of creativity to our food choices. Starting solids with Molly (that’s our cute little 4am-waking munchkin) was a wild adventure. Molly, like her mother, is fiercely independent and right from the beginning she point blank refused to let us feed her. Instead, demanding to try and use the spoon herself or eat finger food. My husband and I said from the start that we wanted to give Molly no added sugar and low salt food options. I don&apos;t hate sugar. In fact, far from it. I love nothing more than devouring a giant piece of chocolate cake for dessert. But for our kids, I’m of the opinion that the less sugar and salt they get the better. That&apos;s why my daughter won&apos;t be getting sugar (or at least much of it) until she turns 3. We’d read up on how important the first few years of nutrition were to a child and like every parent wanted to do the best for our child. New research has shown that the first 1000 days of a child’s nutrition are the most important, when it comes to laying the foundations for their future health. But after just a few short weeks of cooking separate meals for Molly and my husband and myself. Life was getting pretty tough. I was struggling with making finger food type options for Molly that were sugar-free and low salt along with feeding myself and my husband and keeping up with everything else that comes along with a baby. I desperately wanted to keep up with our pledge for Molly’s nutrition but had no idea how I could keep on top of it all without figuring out how to clone myself. Molly loving her super rice. I also wanted to start eating together as a family. I’ve always loved cooking and it was through cooking that I found my now adopted family (you can read more about me here). I wanted to just cook one meal rather than two each night. Tasty, delicious food that was baby-friendly, no added-sugar and low salt and didn’t make my husband and I gag with how bland and boring it tasted. Even my husband — who really just wishes I would cook him a big fatty juicy burger every now and then — has been fooled. Here are my top four dishes to try in the first year of solids. You can find more recipes and instructional photos at my website www.goodbabykitchen.com. Peel apples, remove cores and cut each apple into eight wedges. Place into a large saucepan. Add all remaining ingredients to the saucepan and place over high heat with the lid on for 8 minutes. Remove lid and cook for a further 5 minutes or until the apple is soft and all the water has been absorbed. Add an extra dash of water if the mixture is not cooked at the end of the 5 minutes and ensure it doesn&apos;t burn on the bottom of the pan. If you want to puree this for smaller babies, place in a food processor and add 1 tablespoon of water. Whiz until it is of a desired consistency. 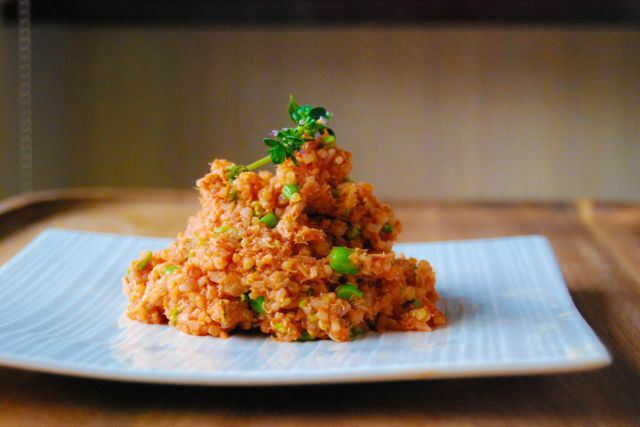 Place rice and quinoa in a rice cooker or large saucepan and add two cups of water. Cook in rice cooker until all the water has absorbed. Cook peas in microwave or in a saucepan and then drain and mash into smaller pieces. Place quinoa and rice in a large bowl and add peas and all remaining ingredients. Give the mixture a good stir and serve. Wash and grate the zucchini and carrot on the small grater setting (the one you normally use for Parmesan cheese). I normally leave the skin on the carrot for extra nutrients and just give it a good wash beforehand. Combine mince, one teaspoon of garlic, oregano carrot and zucchini in a bowl and use your fingers to mix together. 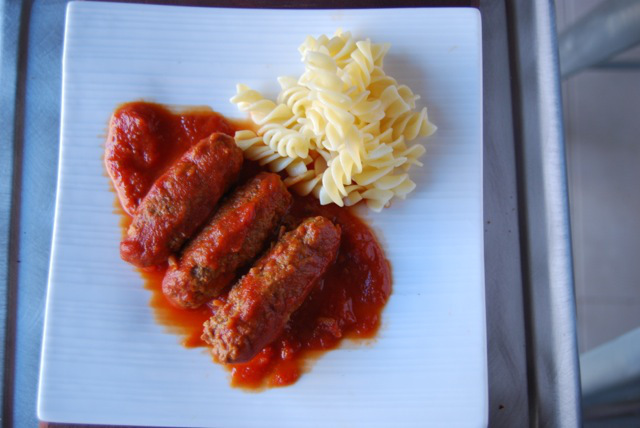 Shape handfuls of mince into sausage shape sticks that your baby can easily hold in their hand. Place meat fingers on a plate and put in the fridge for at least half an hour to rest (this is really important as it ensures the fingers don’t fall apart when cooking. While the fingers are resting in the fridge combine passata, tomatoes, remaining garlic and tomato paste in a large saucepan (I use a Le Crusset) and warm on low heat. After the fingers have rested, cook them in a non-stick pan on medium heat until they are browned on both sides and almost cooked through. Place fingers in the tomato mixture and cook on medium heat for around 15 minutes. I generally leave the lid on whilst cooking and take it off with around 5 minutes to go but if you want a thicker sauce, leave the lid off. While the tomato mixture is cooking, place pasta in a saucepan of boiling water and cook until tender. Drain pasta and place on a plate with meaty fingers and tomato sauce. 2 eggs worth of natural egg replacer (I use the Orgran No Egg natural egg replacer which is lactose, egg and animal product free and you can find in health food stores). You can also just use two eggs, lightly beaten, if your child or those you are feeding are not allergic. Pre-heat a fan-forced oven to 180 degrees and line two cupcake trays with 12 patty cases. Place dates, rice malt syrup, carob powder, vanilla, egg mixture and half the milk into a food processor and blend for at least three minutes and until all the dates are processed and you have a smooth chocolate mixture. The longer the better when it comes to the time they are blending in the food processor. While the date mixture is combining in the food processor, cream the butter in a large bowl with an electric beater for five minutes. Stop halfway to scrape any butter back into the centre of the bowl that might have escaped up the sides. In a separate, smaller bowl sift the flour and bi-carb soda together. Slowly add sifted flour and chocolate mixture to the creamed butter in alternate batches. Beating each time until just combined. Add remaining milk to the mixture and beat until just combined. Spoon mixture into patty cases and fill to around half to three-quarters full depending on how big you want the cupcakes. Place in oven for 15-20 minutes or until a skewer inserted into the centre of the cupcake comes out clean. Check at 15 minutes if they are cooked as you don’t want to over-bake. Allow to cool for a few minutes in the tray before transferring to a wire rack to cool completely. You can find the recipe for my sugar-free, caffeine-free chocolate cream cheese frosting here. 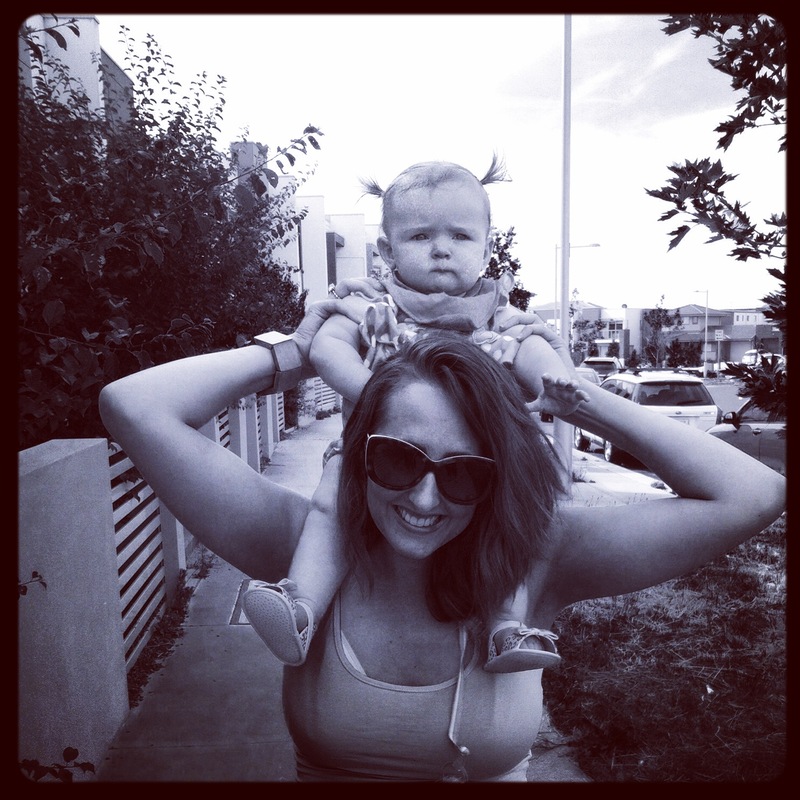 Lanai is the National Political Reporter for News Corp Australia and runs her own website Good Baby Kitchen. If you want to try out more of her recipes you can visit www.goodbabykitchen.com. 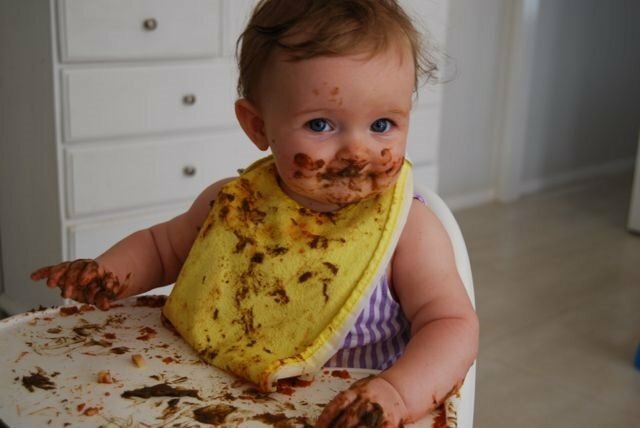 Do you have any tips for moving your baby on to solids? Healthy treats you can make this Christmas.